FLYVEFISKEN is here seen in the surveillance configuration. 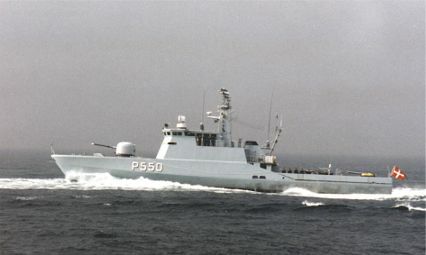 The Patrol Vessels of the FLYVEFISKEN Class, also named as the Standard Flex 300 type, is capable of switching between several rolls/configurations by a planned container system. The different containers will make it possible to change the role of the ship from a clean surveillance role to a guided missile vessel or Mine Hunter within hours. 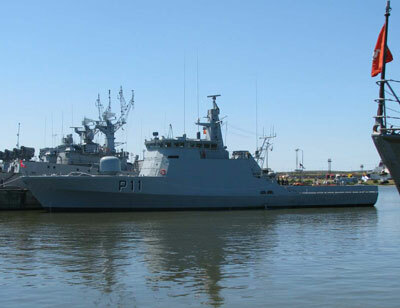 The former Danish patrol vessel FLYVEFISKEN, now named ZEMAITIS seen here after arriving the naval base in Klaipeda, Lithuania.